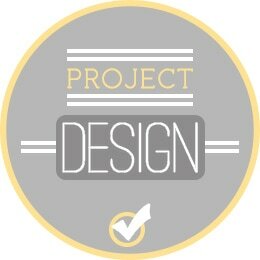 Today I’m so excited to be joining two of my favorite blogger friends, Cindy of Rough Luxe Lifestyle and Mary Ann of Classic Casual Home, for one of their monthly Project Design challenges. 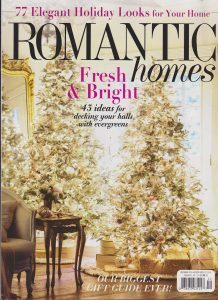 They’ve invited me and 6 other bloggers and designers to participate in an entry way refresh for spring. I have to admit, as thrilled as I was to be included, I was also a little hesitant. My entry way is not very large, and by far the darkest room in my whole house! But, since this is a design challenge, I decided I would challenge myself to see if I could improve this area! My main problem, light, is not something that I can readily fix. While we are planning to replace our front doors with windowed front doors in the future, that’s not in the cards at the moment. So, the first thing I decided to do was to swap out the two tables that occupy the space. Both of the tables in the entry were dark brown and I didn’t think they were helping the situation! Not only did I not need any more dark wood in there (my floors are already fairly dark), but they weren’t really reflective of my taste anymore, either. The new console table is from Wisteria. The narrow width of this console is perfect here since I don’t have a lot of room here, and the pale grey color is exactly what I was looking for! I also added a basket under the table for more visual interest. Vintage baskets add so much character (you can read about my love for them here) and I think the texture really updates the space. 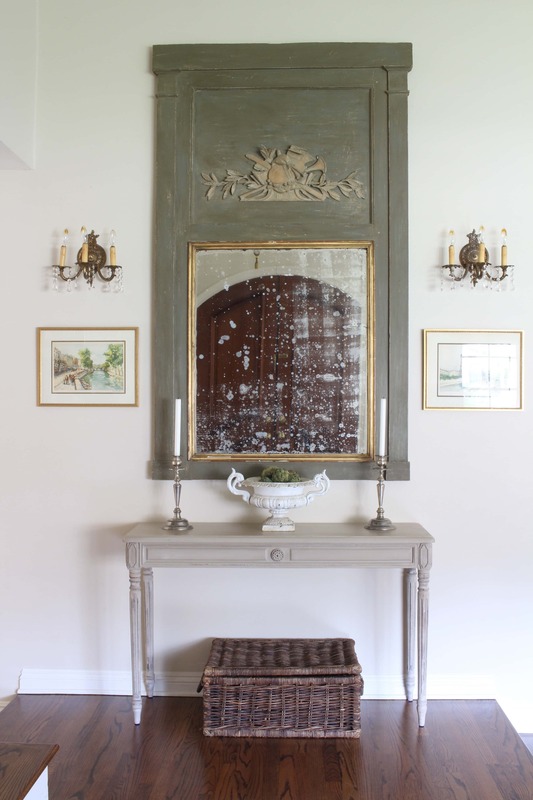 The mirror, sconces and prints are all antiques, as is the cast iron urn. 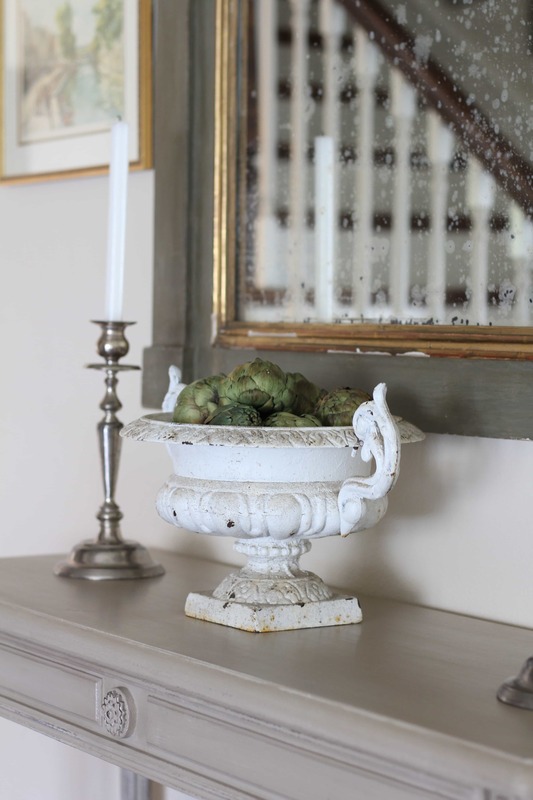 I filled the urn with dried artichokes from Pottery Barn. 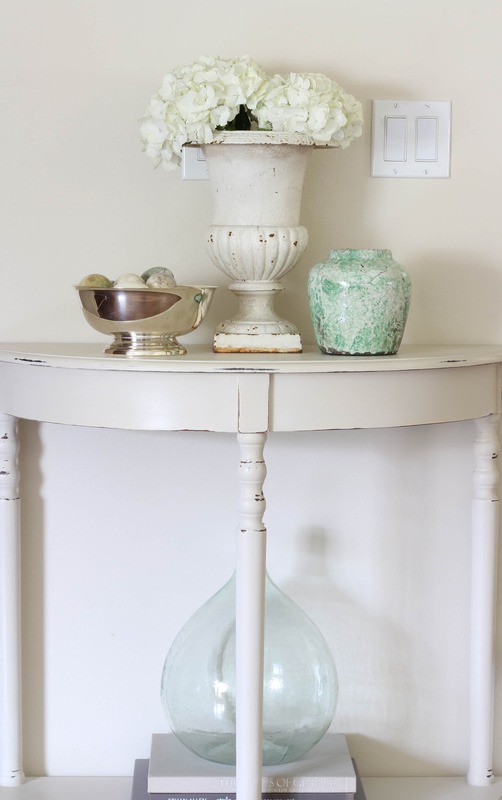 Adding anything green or natural, even of the dried variety, instantly adds a feeling of spring! 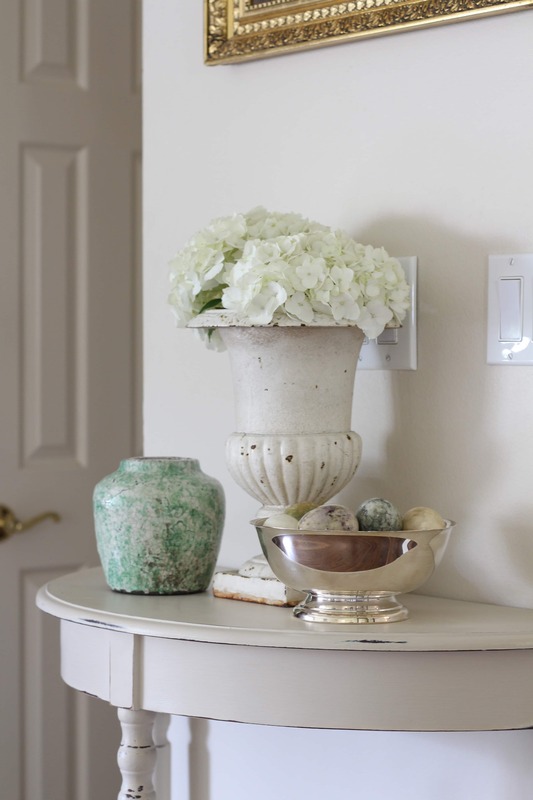 This urn is one of my favorite things – I use it in every season! It is vintage and I purchased it at a flea market. 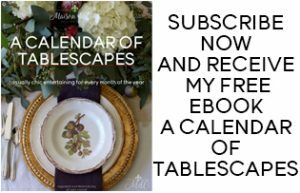 I get a lot of inquiries about it on Instagram and here on the blog, so I tried to find some similar ones below. You can also try Etsy, Ebay, or even One King’s Lane. It’s amazing how just some simple changes made such a big difference! And this little demilune table I decided to keep. It’s such a classic shape, and this wall is only three feet wide so it’s difficult to find something that fits. For that reason, it made more sense to paint it rather than buy something new. And I love the way it turned out! I’ve never used chalk paint before but it was very easy and I love the off-white color. Again, I was so surprised by how lightening up just one piece of furniture affects the whole space so dramatically! I love flowers all year, but at spring in particular they really add some much needed freshness. This may be somewhat of a no-brainer, but honestly, nothing can add life to a space as quickly as fresh flowers! 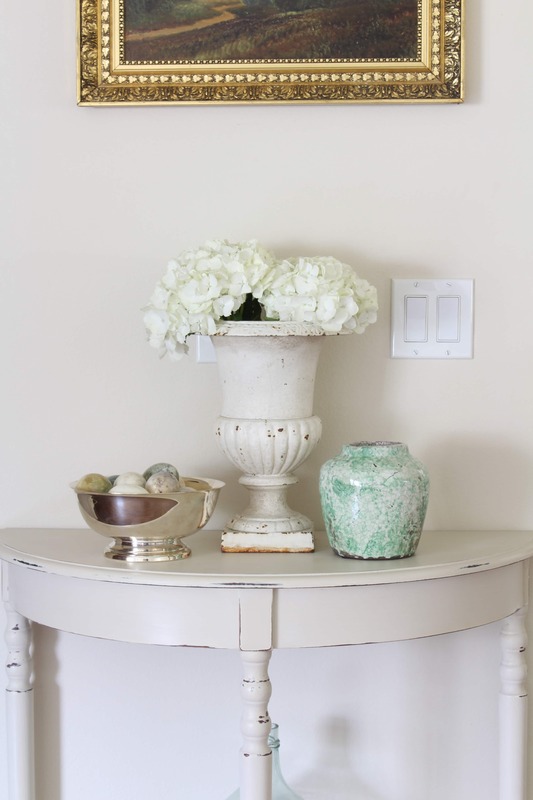 The little vase is from Anthropologie and I’m loving the pop of color it brings! Not only is green Pantone’s Color of the Year, but it’s also a great color for freshening up a space. The marble eggs are something I’ve been collecting for a while now and I always bring them out for spring. Mine are vintage and I’ve kind of found them one at a time at flea markets and online, but Williams-Sonoma has a collection that is just gorgeous, and very reasonably priced – no getting up early needed! 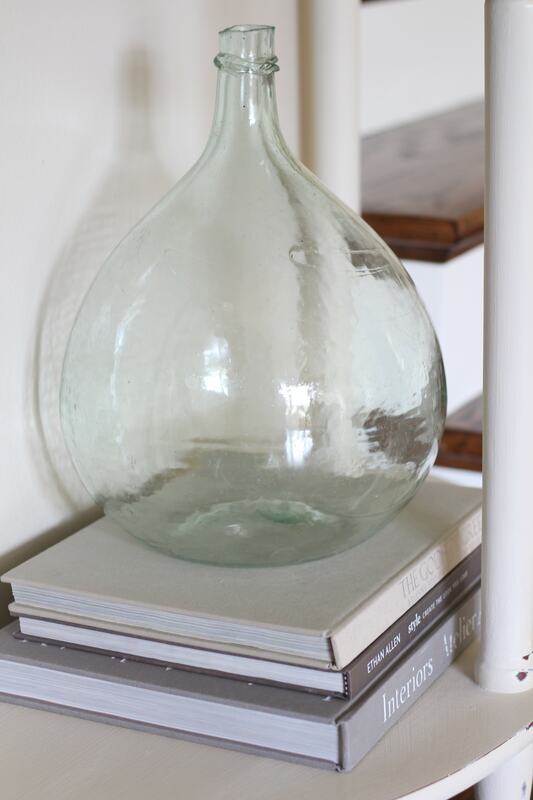 This demijohn continues the green theme and since they are very on trend right now, it adds that little punch the area needed. I hope this has given you some ideas on how you can update your own entry. 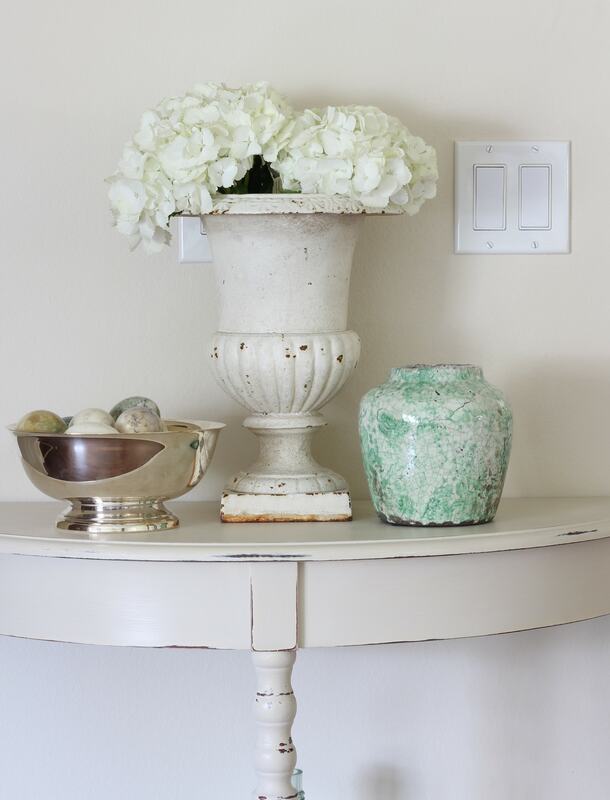 By simply updating your furniture with a lighter version, adding fresh flowers and natural elements, some texture, and maybe a trend or two, you can make big changes in a small space! Thanks again for stopping by! I hope you’ll go on to visit the other bloggers and see all that they have to share as well! Such a welcoming entry hall. 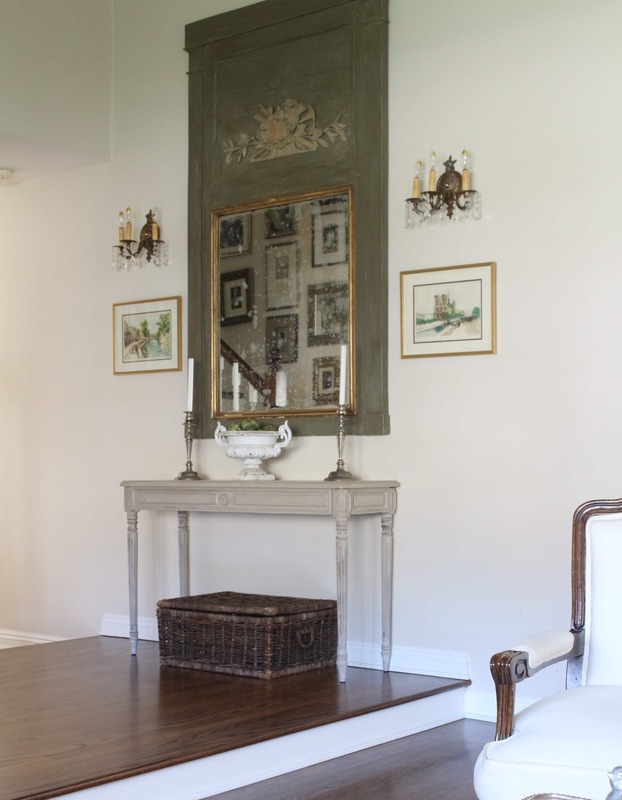 Love the mirror and grouping you have there. Very nice! You’ve all done a wonderful job. Awww, that’s so sweet! Thank you so much Carla! And thank you so much for stopping by the blog. I appreciate your support and that you took the time to post a comment. It is always nice to connect with readers! You did such a great job with the painting of the furniture! Love the change!!! Wow, thank you so much Leslie! Coming from you that is truly the utmost compliment! As I said when I posted on Instagram yesterday, I’m now running around looking for more furniture to paint! Nothing is safe:)) I think I’m hooked! Thank you so much for stopping by the blog, and for taking the time to write. I absolutely love your company and the design work you do! The changes make this space really shine. It looks wonderful. Great job! How are you? Hope you’re good! Thanks so much for your sweet compliment! I’m certainly happy to have lightened up the space and can’t wait to do more along the same lines with the rest of the downstairs. Such a welcoming space! 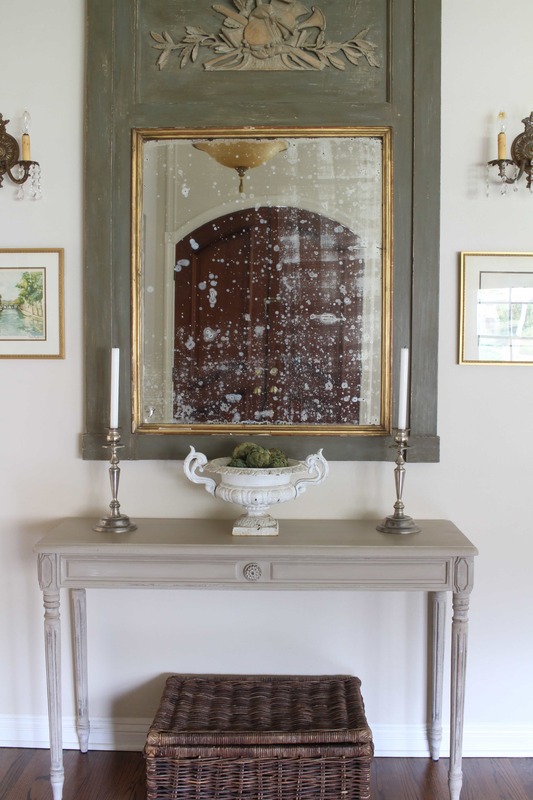 Really loving the gray console table and that mirror is gorgeous! Enjoyed hopping with you. Thank you Becky! I loved your entry too, and am so happy to have been able to do this “hop” with you! ah ha! Here’s the new update! 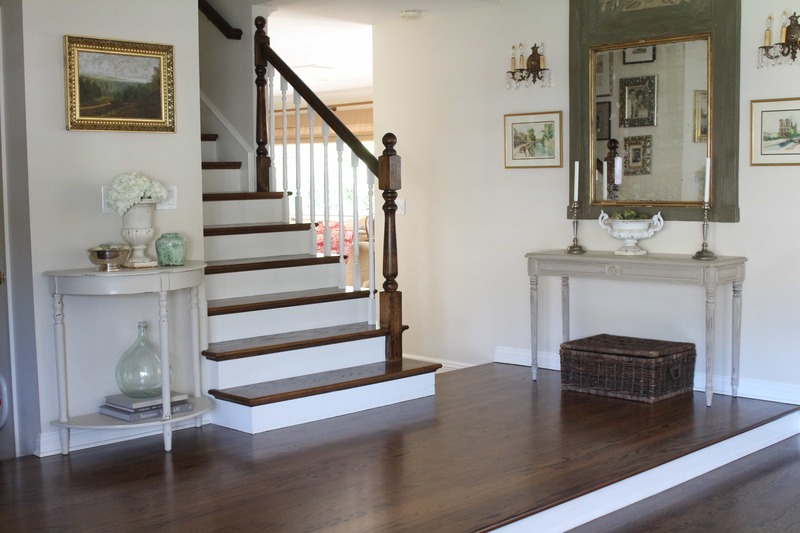 Well I saw the before pic on your Instagram and I honestly like your entry way styled both ways! Sometimes moving things around and/or getting new things is nice and refreshing! It does feel “refreshed” – that’s the perfect word for it! And I’m liable to put any brown furniture that remains under my paint brush! I just love absolutely everything you’ve done! It’s bright and very inviting. All of the little touches are just perfect! I tried to like it as well but it wouldn’t load. Very well done Sheila.? Sorry about the “not loading.” There are still some kinks to work out with WP even though I’ve been on the new website since January! But thanks for telling me – I will look into it. 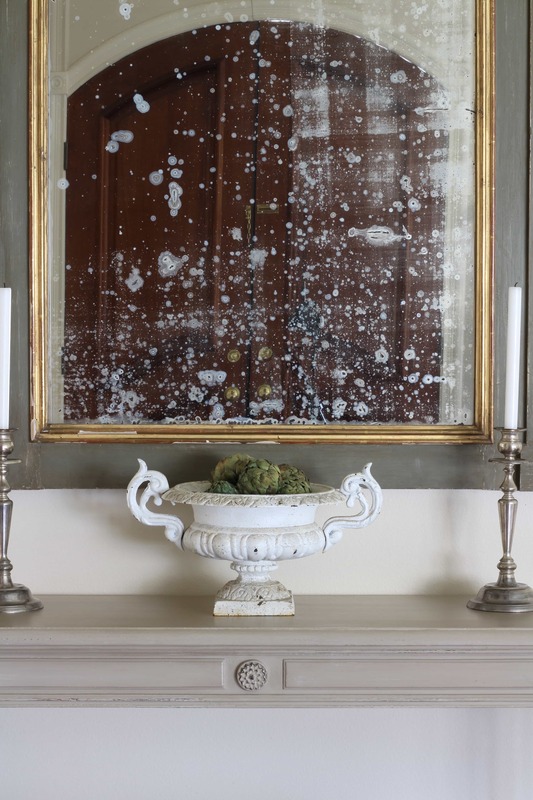 Well that mirror is fabulous so any acoutremants to that can only get better! If you come home some night and it is MIA you can find it at my house! 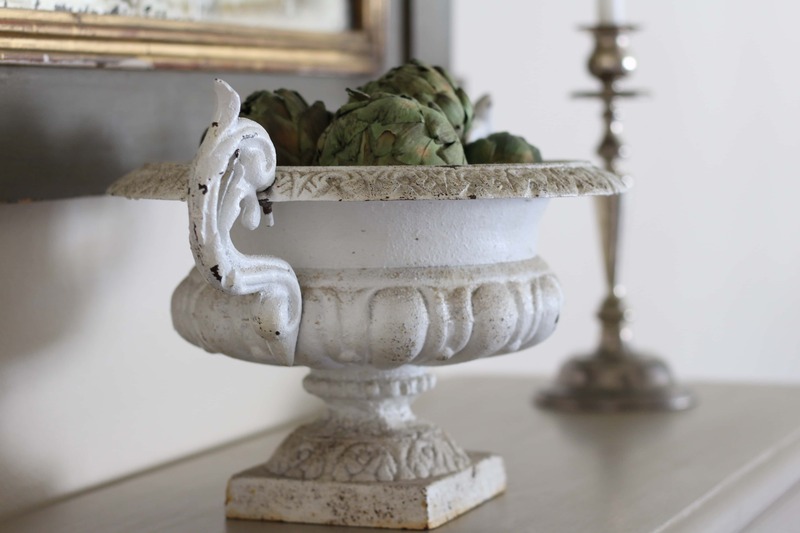 I love all of the texture and charm the antiques and vintage items add. Old is always better in my humble opinion! Thank you so much for joining us. My internet is barely working so I am struggling to read everyones posts. Thanks so much Cindy! 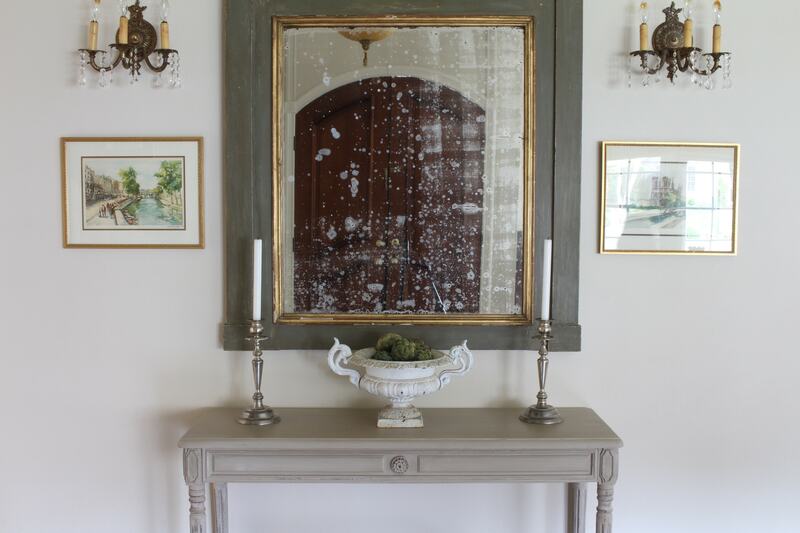 That mirror was a dream of mine for so long – I can tell you I was absolutely giddy when I found one that was actually affordable! And I could not agree more with you about antiques! Old is better for sure!! Wow, I am impressed with your chalk painting skills! The whole foyer looks lovely and doesn’t seem dark at all. Such a pretty space! Sheila, what a beautiful space! The new Wisteria table is perfect. 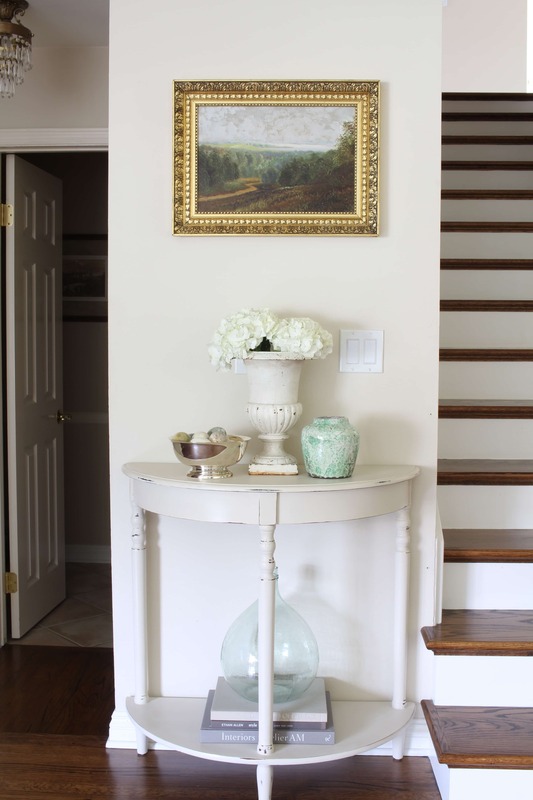 It all feels so freshly “French”…you have the perfect touch of blending old with new… lovely foyer. Thanks so much for playing with us. Let’s get something on the calendar to meet with Cindy soon! 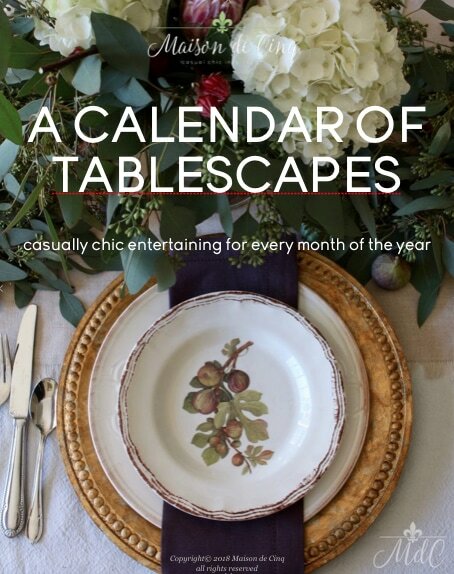 It would be fun to go to a flea market with you…love your “eye” for design. Aww Mary Ann, I am SO touched by this comment! Thank you, truly, from the bottom of my heart. I am not formally trained so everything I do, I do from the gut, so to know that I’ve hit the mark really means a lot. And yes! I would LOVE to go with you two!! I’ll email you and we can pick a date. I LOVE your mirror and think you did a great job of making your entry light, bright and YOU! It was fun touring with you. Thanks so much my friend! I’ve enjoyed touring with you too – and I’m heading over to your beautiful post right now!